Beauty? No. Handsome? Ofcourse! During a photoshoot of my 7 month old son (then 6 months) my husband decided to whisk together some leaves for a true fall experience. Brayden thought the leaves flying through the air were hilarious, and I was able to capture this pose. 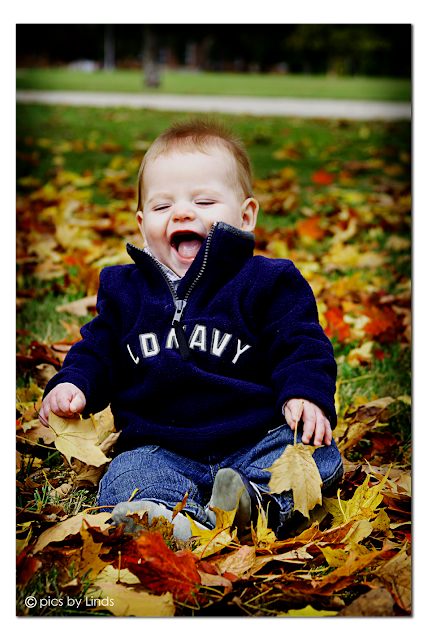 Nothing better than fresh fallen leaves and a laughing baby. Makes a momma heart smile! Hop on over to the I ♥ Faces website for more awesome autumn entries!